Make a great first impression with beautiful front doors from Malvern Glass. Your Ledbury home with benefit in numerous ways with our premium residential doors. We have a large range of innovatively designed front doors at competitive prices in Ledbury and the surrounding areas. 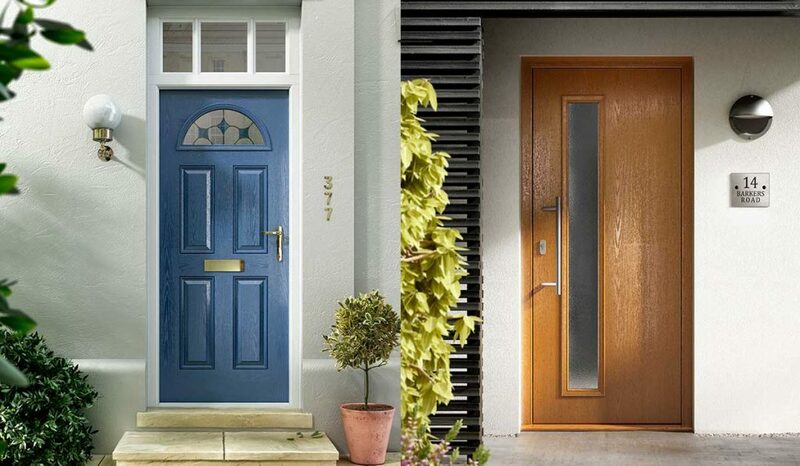 Our front door range gives you the ultimate choice when it comes to different styles, designs and aesthetics. Whether you want something more traditional in subtle colours, or you’re looking for something modern and bright, we have just the front door for you. We are members of The Independent Network which is organised by the VEKA group. This means that all of our front doors have been thoroughly tested and assessed by top quality experts, so that you can be confident you’ll be receiving a premium product that is second to none. We offer a robust and resilient front door solution to protect your home from the outside world with vast benefits and features. We know that security is a priority for your Ledbury home which is why all of our doors come with high security locking mechanisms as standard to give you the peace of mind you need. Offering a strong and safe front door for your property that improves the thermal efficiency as well as the security of your home. All of our uPVC and composite front doors have a range of options for you to personalise and tailor them to your property aesthetic. 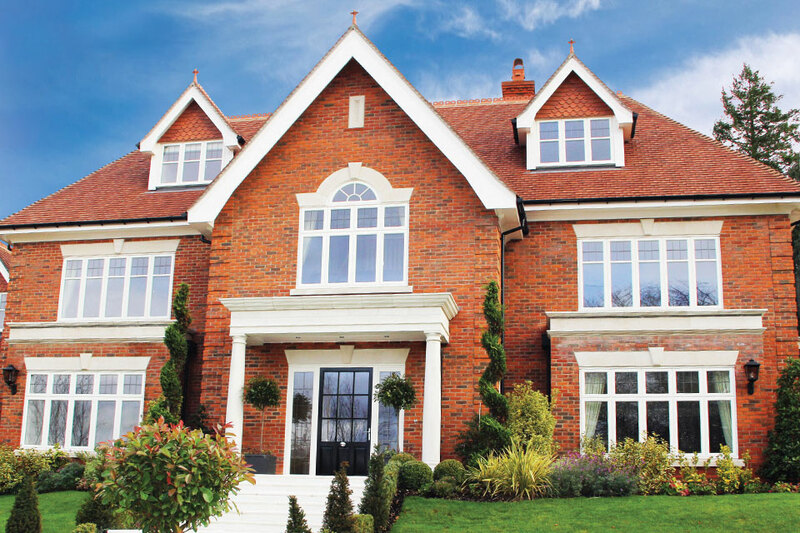 Our profiles created by VEKA are renowned for their versatility, enabling the profiles to be flexible. We have a wide range of colours and wood finishes available as well as accessories to choose from such as numerals, letterplates, door knockers and more. This results in a front door that is completely tailored to you and your individual taste. We also offer double glazing options for our front doors with several glass patterns to add privacy and style. We provide a professional installation service that ensures your front doors are the perfect fit with exceptional double glazing that will last for years to come. We can allow for any threshold adjustments that might be needed for wheelchair or pushchair access, making your home accessible. We also offer bespoke timber doors, stable doors and StyleLine doors for any home improvement projects that require a traditional look or injection of modernity. Our front doors look great both outside as well as inside, fully complementing your property décor and maintaining a sophisticated and stylish look and feel. You can select your preferred material, colour, glazing options, hardware and finish to create a front door that is unique to your Ledbury home. Adding double glazing to your home provides you with a whole host of benefits such as increased thermal efficiency, meaning that your home is warmer for longer. In turn this reduces your reliance on the central heating, lowering your energy costs and reducing your carbon footprint. Our front doors meet PAS42 standards and are Secure by Design accredited, whether you’re looking for a front door made from uPVC or timber, we can provide a solution that never makes you compromise on style over functionality. All of our front doors are created to withstand adverse weather conditions, protecting your home from water ingress and draughts. You’ll be investing in a front door solution that keeps your property warm and dry all year round, no matter the weather. Our front door products offer a low maintenance solution meaning that you won’t have to spend time and money on the upkeep of your doors. All they will require from time to time is a simple wipe down to keep them at optimum condition. Adding a new front door to your Ledbury home can boost the kerb appeal of your property. They also provide extra insulation to make your home a more peaceful and serene environment to spend time. This is especially advantageous for homeowners that live near busy roads or built up areas. We are proud to provide all of our customers in Ledbury and the surrounding areas with competitive and cost-effective prices. The front door of your home is integral to the security and thermal efficiency of a property as well as being the first thing that visitors see. We provide stunning front door solutions that suit any property type. Visit our online quoting engine to get yourself an accurate price estimate. Simply enter your specifications and you will receive a free quote for your front door needs. You can contact us via our online contact form if you have any questions or queries. Our expert team will be able to help and discuss any products that you’d like more information about.